The shoulder charge tackle has been banned from Super League. The Australian Rugby League Commission outlawed the tackle at the end of last year while New Zealand already had a ban in place for domestic competition. The Rugby Football League decided to keep it until a full consultation process had been undertaken but their hand was forced after the International Federation extended a worldwide ban. The ban starts with Friday's World Club Challenge in Leeds. In February Salford half-back Theo Fages was knocked out by a charge from Catalan Dragons prop Julian Bousquet, resulting in a four match ban, while Castleford half-back Rangi Chase was banned for two games for his strike on Leeds' Zak Hardaker. The RFL, which was outvoted by its southern hemisphere counterparts, could have delayed changing the rule for their domestic competitions until the end of the season but decided, for the sake of uniformity, to introduce the ban in Super League and the Championships from this weekend. "We understand that the shoulder charge is popular with many people in rugby league but we also have a duty to manage the welfare and safety of players involved in the game at all levels," said RFL laws committee secretary Blake Solly. "We have contributed to the RLIF's discussions about the shoulder charge and, whilst we believed the challenge should not be banned, we consider that the RLIF board have followed the correct process and allowed each member nation to provide a view on the law change. "It is right that the RLIF should have ultimate control over issues such as this, and we remain committed to standardising the laws of the game across all nations and competitions." 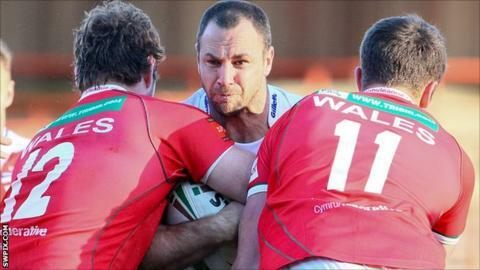 There have been several high profile incidents already during the 2013 Super League season. Salford half-back Theo Fages was knocked out by a charge from Catalan Dragons prop Julian Bousquet, resulting in a four match ban, while Castleford half-back Rangi Chase was banned for two games for his strike on Leeds' Zak Hardaker.